Water-gilding is the "Rolls Royce" of gilded finishes. 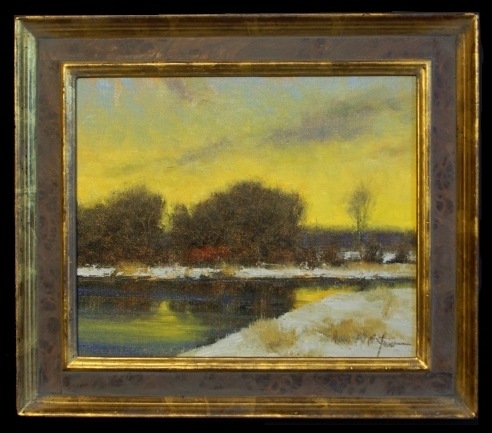 Traditional water gilding requires the bare frame to be prepared with several layers of true gesso, followed by up to 10 layers of a burnishing clay. We then lay the leaf using an "adhesive" of water and alcohol - as the clay dries, it pulls the gold down into it, thereby adhering the leaf to the frame. 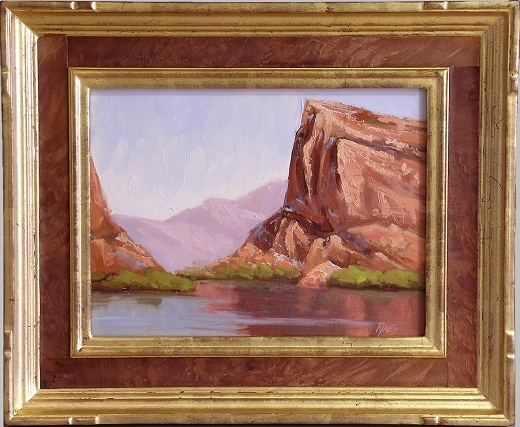 Water gilding tends to have a lighter, brighter look than oil gilding. 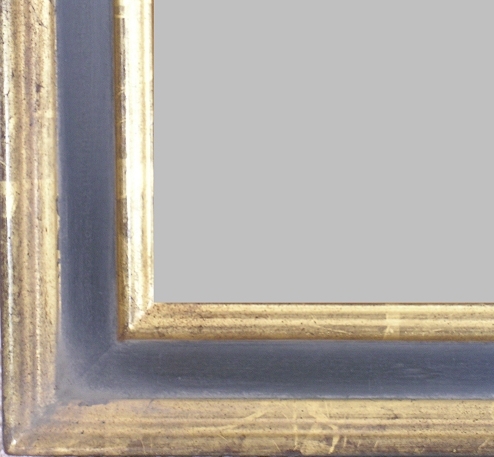 When rubbed, a water-gilded frame reveals the natural "lay lines" of the gold leaf, adding a decorative element to the frame. 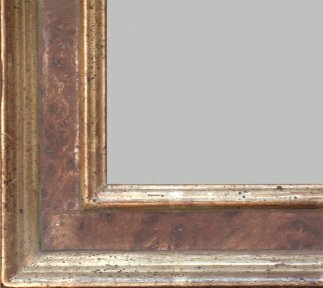 We offer water-gilding in several colors of bole/ground (black, red, brown, plum, yellow ochre, blue, gray) with gold purities in 23kt and 12kt. 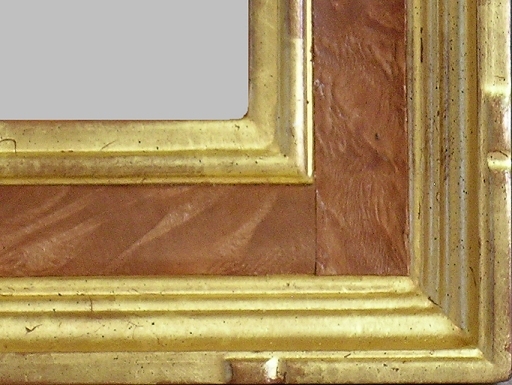 Florence with water-gilded inner lip and outer edge. Verona 2 in 18 kt gold with elm burl and heavy antiquing. 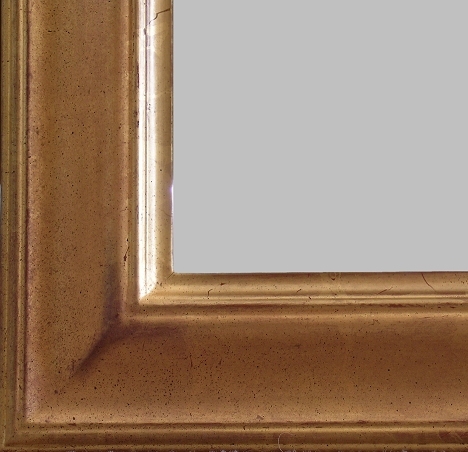 Verona 2 in water gilding, 22kt, black panel, Italian Finish.